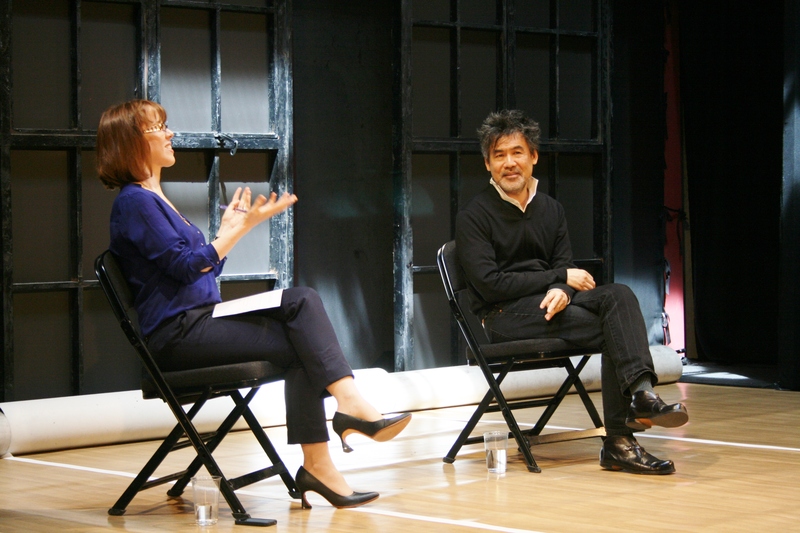 Last Saturday, I was privileged to do the public Q&A with David Henry Hwang at the UK premiere of his 2008 award winning play Yellow Face at the Park Theatre in Finsbury, London. Thanks to Kevin Shen, Lucy Fenton and David for inviting me to do this! We had 45 minutes of lively and humour filled discussion where David relayed experiences from his career, his influences as a writer, as well as – of course – a discussion about racial and ethnic minorities in theatre. 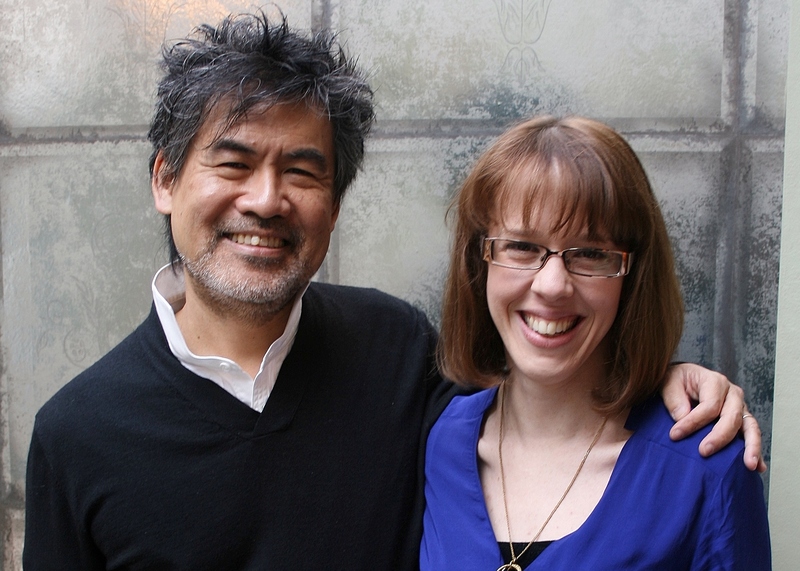 David remains only one of two Asian American playwrights to be produced on Broadway (the other being Rajiv Joseph) and is a leading light for theatre makers worldwide, not simply in America. I can honestly say that reading David’s work is how I started doing my research and has influenced its development in my book. But as we discovered, it was also influential to a number of audience members from different national and racial backgrounds. Such is his appeal. Although mainstream theatres often talk about diversity and claim to be genuinely interested in it, very few ethnic minority writers are regularly produced, especially in regional theatres. The line between audience accessibility and being able to turn a profit without automatically falling into exoticism is a difficult line to tread, but David is one of the few who can consistently do so. 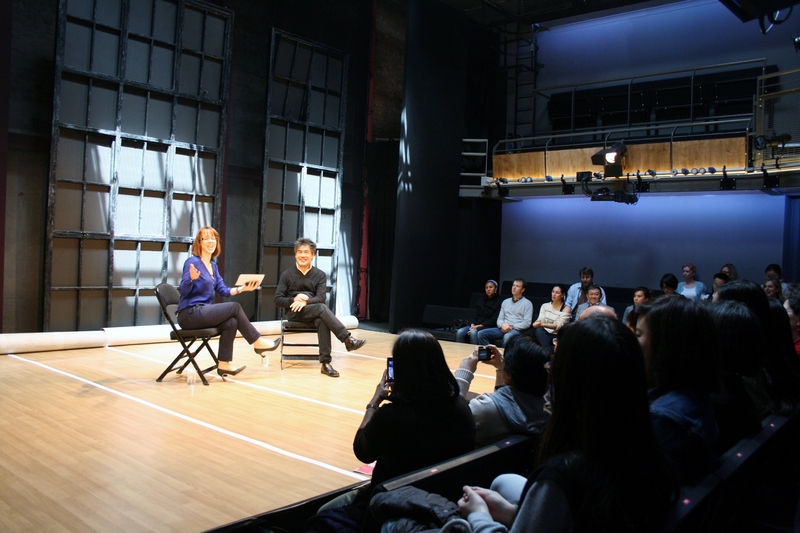 We also discussed the influences behind his current play Yellow Face, the resurgence of yellow face as a practice and the recent productions of his plays in China, notably The Dance and the Railroad and Chinglish. Alongside questions of race, cross-cultural exchange features as a strong theme in David’s work and he talked about how he was interested in exploring this further, particularly as Chinese – American relations (or as Niall Ferguson calls it ‘Chimerica’) become the defining political, economic, and cultural relationship of this century. Whereas Yellow Face is his statement on multiculturalism, Chinglish (which was produced on Broadway in 2011) points towards the future. I was really thrilled to do this having met David in New York twice before. I was once described as ‘the only British academic working on Asian American theatre’ so I guess that somewhat bizarre by-line has its perks! If anyone is in London, go see Yellow Face, it is a brilliant meditation on racial politics in the 21st Century, and very funny. It’s currently getting rave reviews at the Park (even winning over the Torygraph! ), and features some stellar talent in its multicultural cast. I also wrote some of the programme notes about the practice of yellow face. I’m taping them to my office door tomorrow. Despite having met David before, this is the first time I managed to ask him for a photo. I am usually too shy!